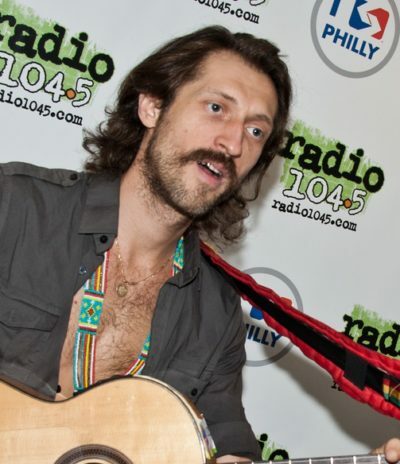 Eugene Hütz is a Ukrainian-born American singer, songwriter, musician, composer, disc jockey, and actor. He is the lead singer and guitarist of the punk band Gogol Bordello. Eugene was born in Boyarka, in present-day Ukraine. His father was Russian and his mother was Ukrainian, of Romani descent. His family hid their Romani background until Eugene was fifteen years old, due to anti-Romani sentiment.